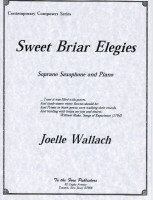 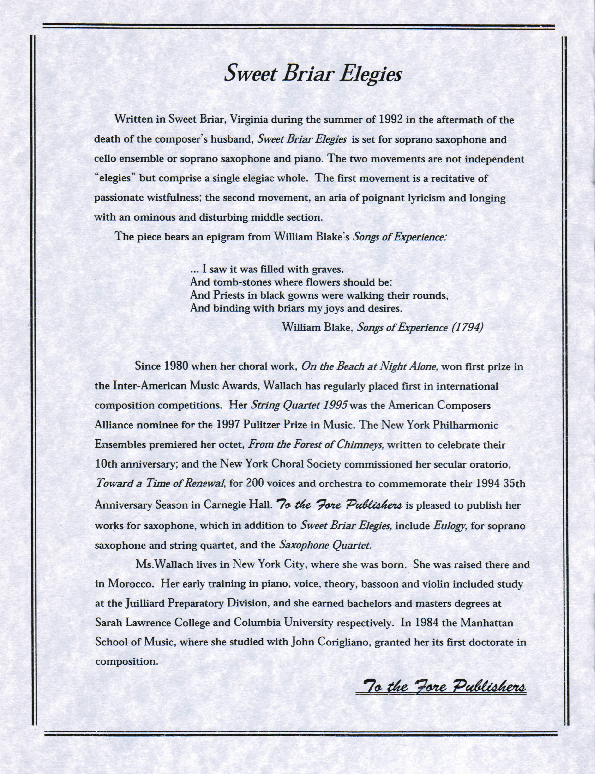 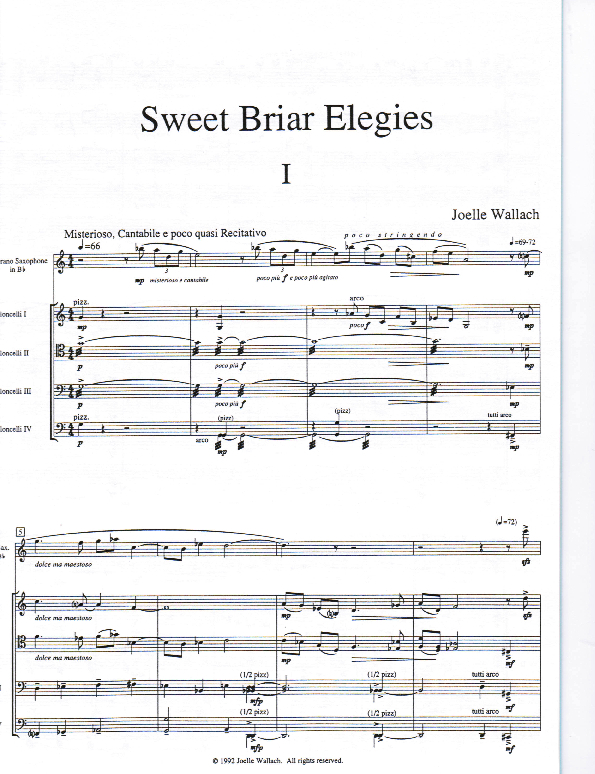 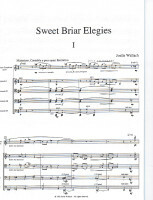 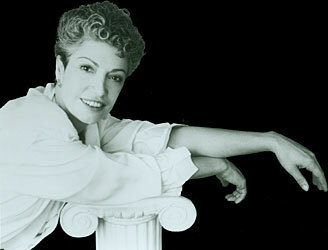 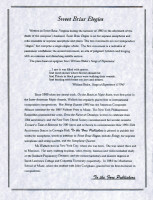 Written in Sweet Briar, Virginia, during the summer of 1992 in the aftermath of the composer’s husband’s unexpected death, Sweet Briar Elegies is set for either soprano saxophone and an ensemble of eight celli or for soprano saxophone and piano. 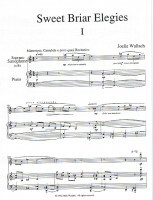 Its two movements are not independent elegies but comprise a single elegiac whole. 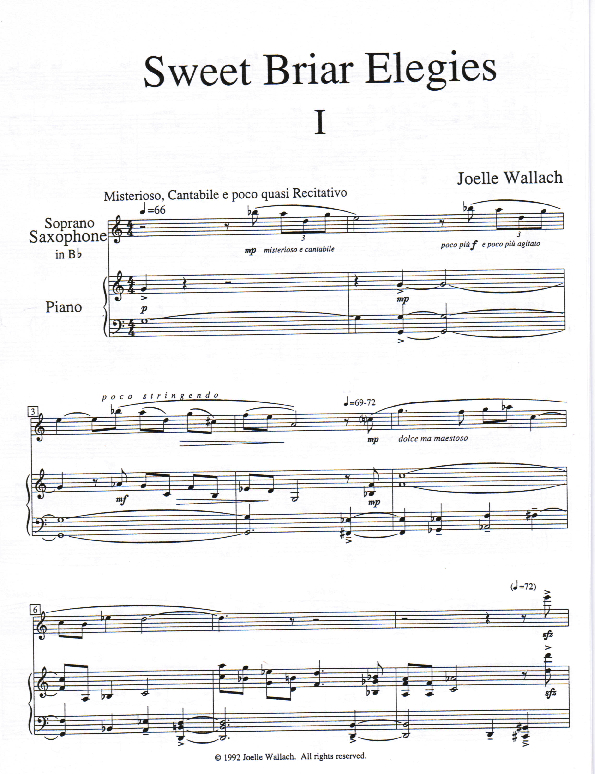 The first movement is a recitative of passionate wistfulness; the second movement, an aria of poignant lyricism and longing interrupted briefly by an ominous, somewhat disturbing middle section.